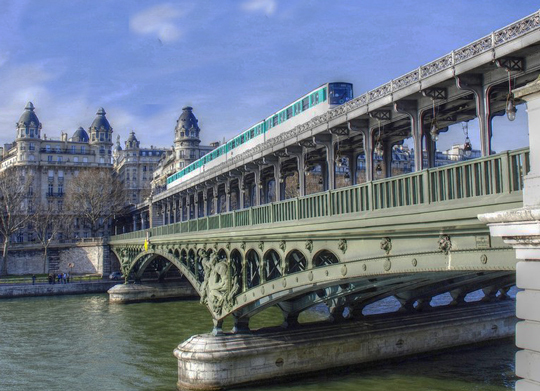 With 205 km of lines, 303 stations and over 1.5 billion passengers carried each year, the Paris metro is one of the world’s most practical. But its current appearance is the result of a long history, and that of a man: Fulgence Bienvenue. During the industrial revolution, the Second Empire tries to modernize the capital by building railways. 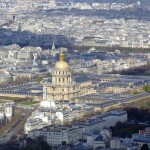 The “ring road“, a double track surrounding Paris built in 1852, does not solve the problem of inner Paris transport. In 1863, London opens the world’s first underground railway. New York followed in 1868, Chicago in 1892, Budapest in 1896. 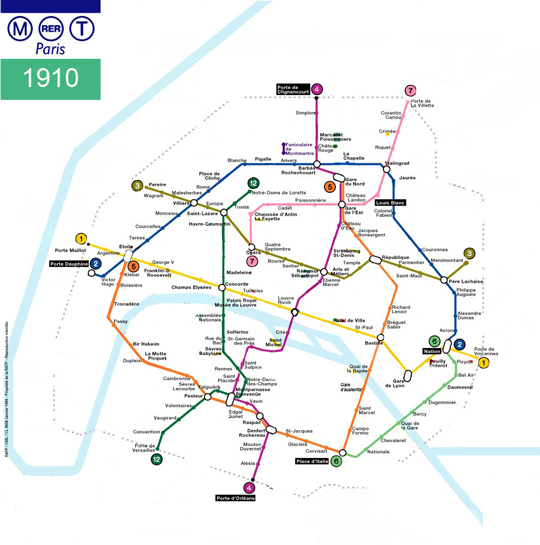 At least, After several years of discussions between the State and the City of Paris, it was decided in 1895 to build an urban network in Paris, which goal is first to open for the 1900 World Fair, then to build 6 lines until 1911. The project is assigned to a Bretonengineer: Fulgence Bienvenue. Born in 1852, he lost his left arm in 1881 in a work accident. What didnt’t put a stop to climb one by one the ranks until becoming Technician Chief of the Metropolitan in 1898. This project is one of the most important of the 20th century, one that will definitely bring Paris in the industrial era, lagging behind London and New York. 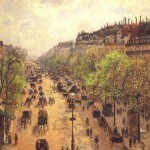 But the works, which cause huge changes in the city, also stirred up parisians anger. 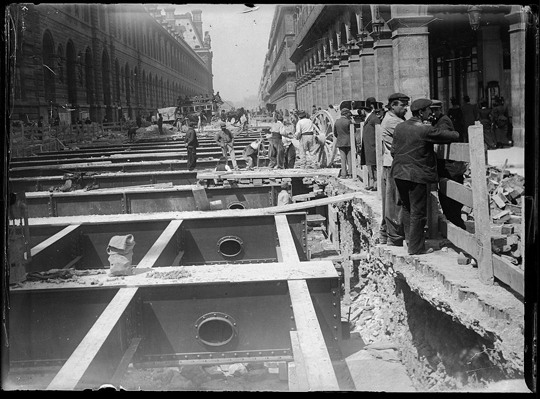 On April 14, 1900, the goal is almost reached, but the World Fair opens without subway. 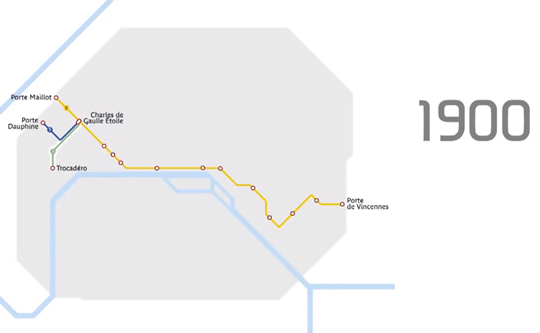 Line 1, which connects Porte Maillot and Porte de Vincennes, will be operational on July 19, 1900. 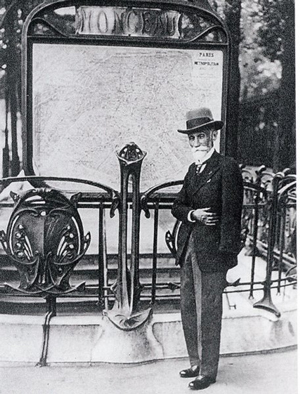 The start of a long history… And an immediate success : in five months, 4 million passengers use the Paris metro. Follow the lines 2, 3, 5, 4 … In 1910, the 6 lines planned in 1898 are done. Fulgence Bienvenue directed until 1932 works of new lines. He only didn’t oversee 2 lines (plus some extensions of existing lines): the 11 (1935) and the 14 (1998). 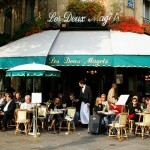 The birth of the word Bistro in Paris, and its etymology, results from an unusual story of 19th century. Find out the history of this word. 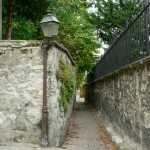 One of the last street of Paris to have preserved an atmosphere of village of the 19th century. 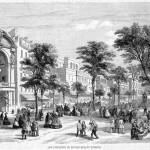 Crime Boulevard is the name that was given to the Boulevard du Temple in the 19th century. Discover why. 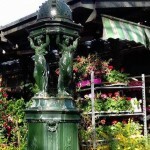 To understand this wonderful monument, learn the History that gives its unique character.